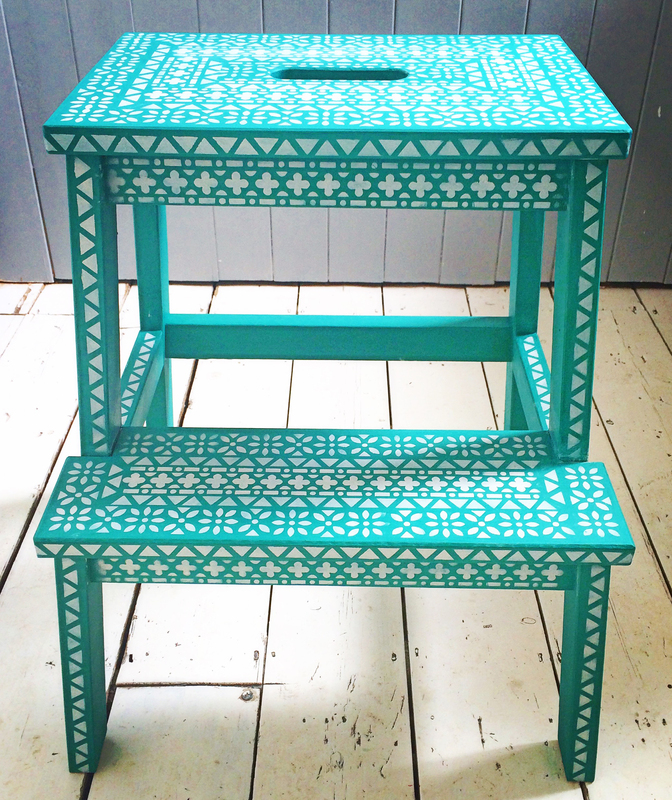 Sometimes when I paint and stencil a piece of furniture it is because I want to sell it, other times it is to try out new stencils or techniques and sometimes it is for a feature in a magazine. 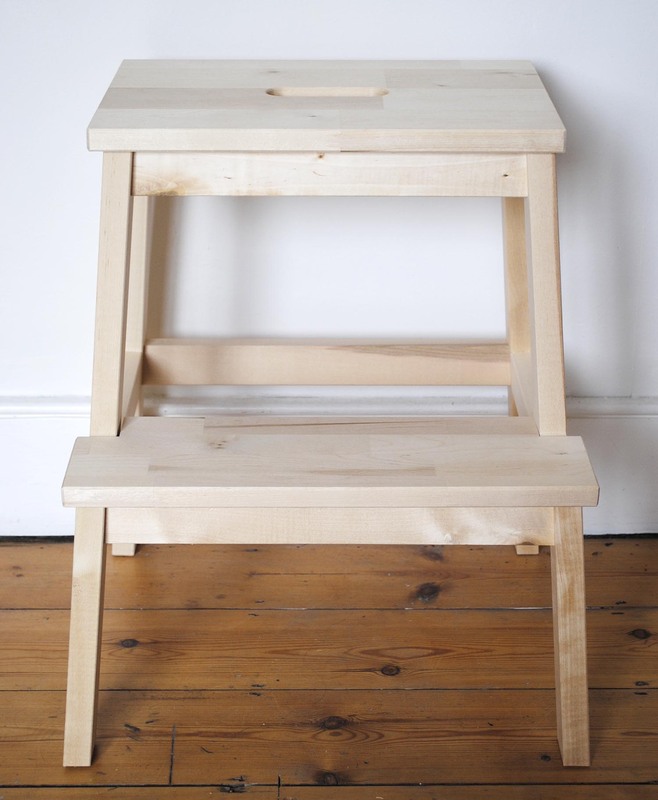 When I began working on this IKEA step stool it was simply because I wanted to stencil something! I had been busy with other stuff for a while and had missed working with my stencils. A couple of therapeutic hours spent in the studio was a real treat. I am a big believer in the mental health benefits of working with your hands to make something. My brain becomes totally absorbed in what I am doing when I stencil a piece like this and my children know to cough loudly as they approach the studio at the end of the garden, in order to prevent me from jumping out of my skin. The best outcome of this project however is the fact that my teenage daughter actually loves it and now sits on it each morning to apply her pre school make-up. A very big honour! It is the only piece of my furniture which she has accepted into her room and believe me I have offered many of my creations. 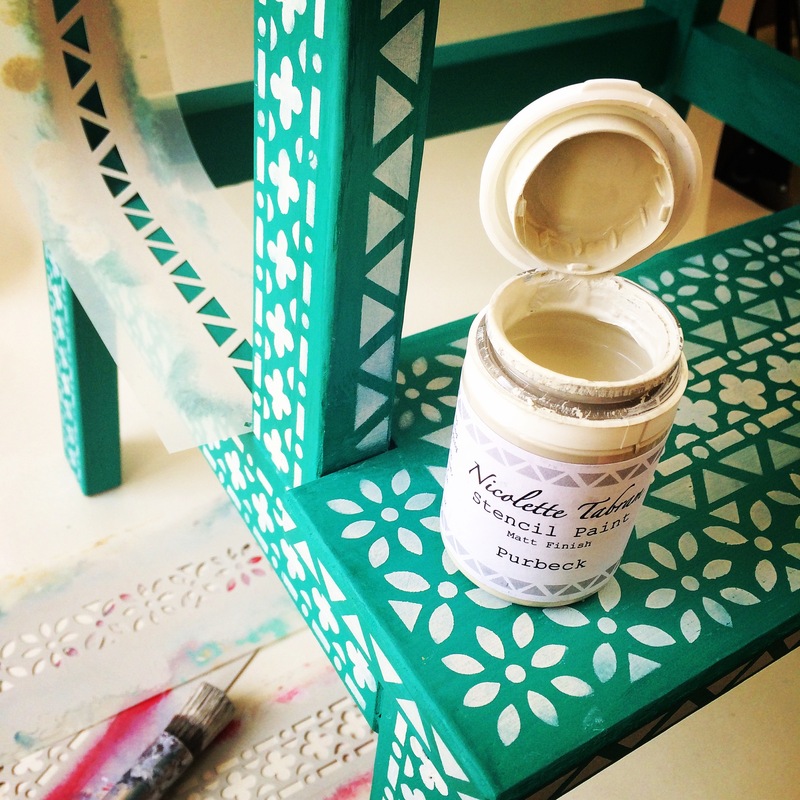 For this project I used the Neemrana and Rajasthan Border stencils with the Purbeck Stencil paint. 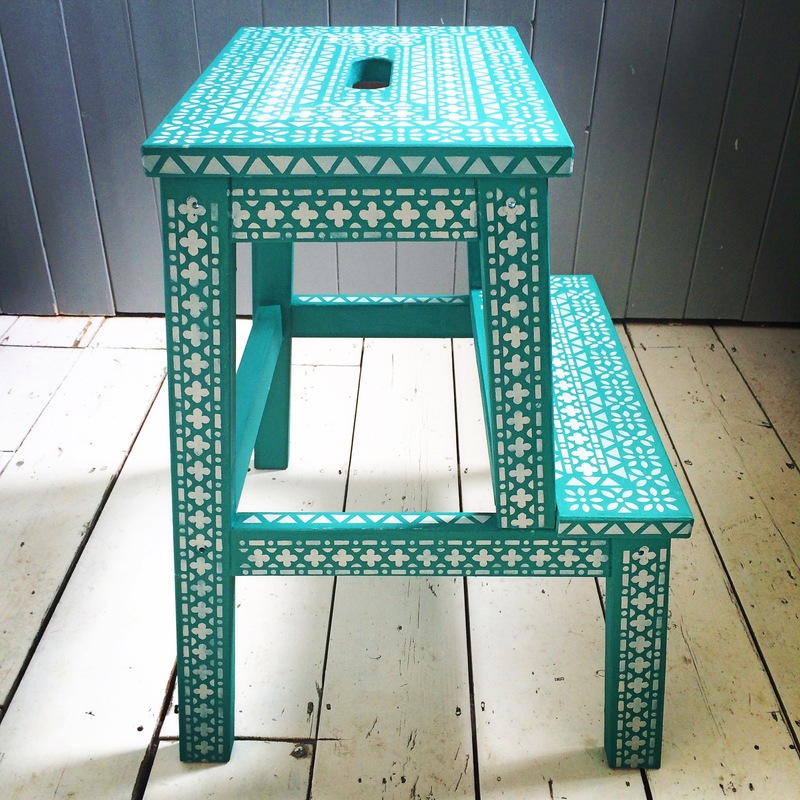 Top tip: If you are thinking about stencilling your own IKEA step stool, I would recommend that you paint, varnish and add the stencil pattern before you assemble the pieces. 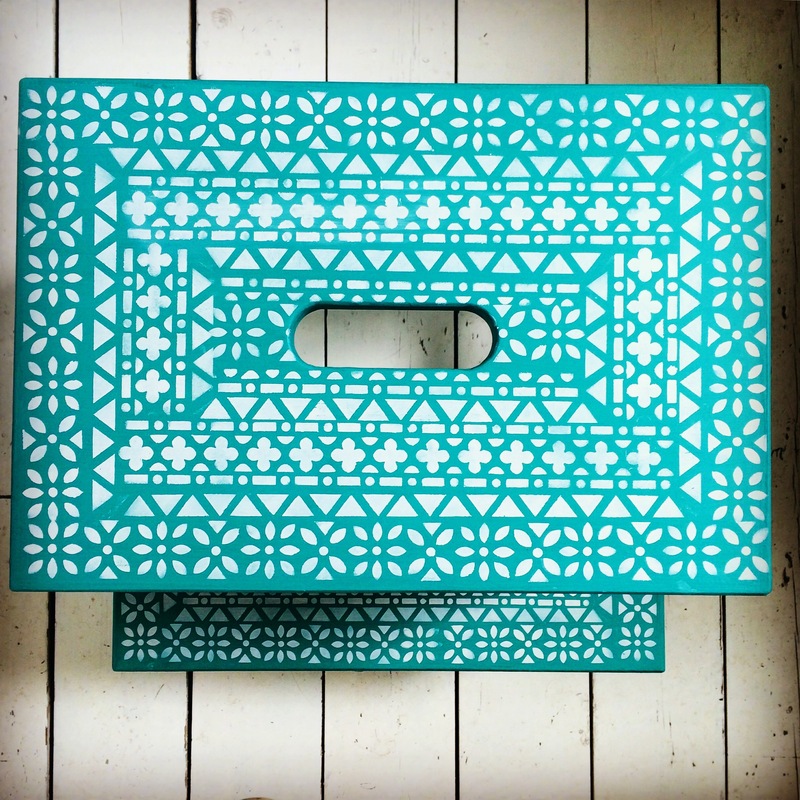 This makes it so much easier to add the pattern to the bottom step and avoids having to push the stencil into tricky corners.